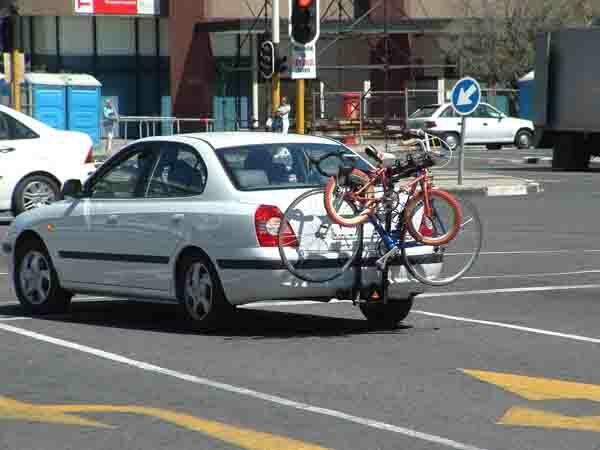 Cycling has been hitting the news in Cape Town this week. The Argus/Pick 'n Pay Giro del Capo has been ridden through the streets of Cape Town and along the Garden Route creating much excitement as the riders pedalled through some of the country towns en route to Cape Town. This Giro is the lead up to the main event that will take place on Sunday. The Argus/Pick 'n Pay Cycle Tour starts in Cape Town and follows a route along the M4 highway and then along the False bay coastline round Smitswikels bay returning via Ocean View and Kommetjie road, over Ou Kaapse Weg and back along the M4 highway to Cape Town. A distance of 109 kilometres. This year there are 35000 entrants who will line up in Cape Town to start the race. The first cycle race in 1978 attracted 525 people. To prevent chaos at the start professional riders start first and are back in Cape Town by the time the last of the riders leave the start. The start is staggered with groups of riders leaving every 15 to 20 minutes. Last year the worst part of the race appeared to be over Ou Kaapseweg where riders struggled with high temperatures on a very steep mountain climb. Temperatures rose to 42 degrees celsius. This year it will hopefully be a bit cooler as we are experiencing a bit of rain at present. This is the last time the race will be ridden over this particular route as from 2004 Chapman's Peak drive will once again be open and the race will follow it's original route. The original race ended in Camps Bay after riders had to encounter some long climbs up Suiker Bossie hill to get to the finish. Organising the event takes much planning. Firstly getting 35000 riders registered with race numbers and ensuring that they all have the correct safety equipment is one major task. Traffic officials also have their work cut out as the route that is followed by the cyclists is along main roads. All of these roads are closed to traffic for the duration of the race. The whole of the southern peninsula is cut off from the rest of Cape Town for about six hours as all the major routes are utilised by the riders. Residents who leave home before the race cannot get back home and those who sleep late are held hostage in their homes until after the last cylist has passed through their area. Of course everybody joins in the fun. Residents use their garden hoses to cool down cyclists as they pass by. Businesses sponsor water points along the route and the volunteers manning them have much fun trading comments with riders as they stop or ride by. Some of the less serious riders dress up in fancy costumes and entertain the public along the way. This is a major social event on the Cape calendar and brings in thousands of visitors from all over. Last year the event boosted the coffers of Cape Town to the tune of about R218 million. No doubt it will do even better this year. Here's hoping. Maybe less taxes for me! LOL. If you are an avid cyclist why not plan your trip to take in this social event. You must enter early as the event is limited to 35000 entrants. The 2009 event will be held on Sunday March the 8th.